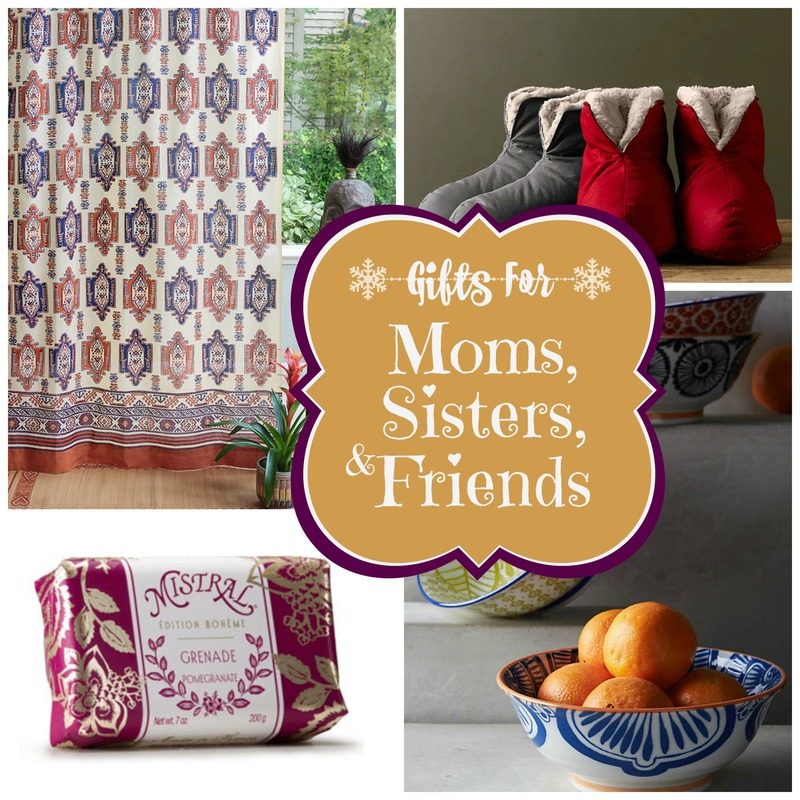 We have put together a Decor and Gift guide this holiday season to help you with your shopping–for yourself as well as for others! 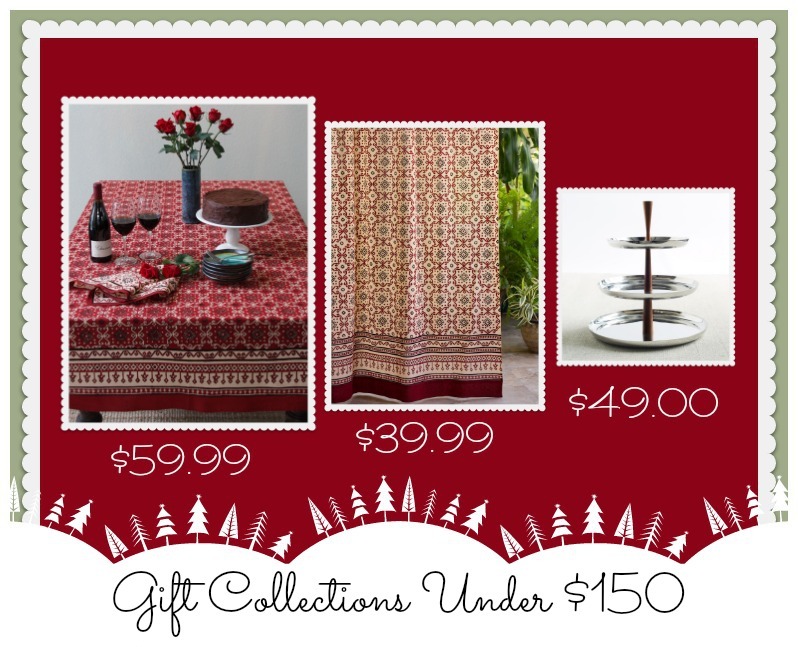 If your holiday dinners are known for high style, you’ll find this print to be perfect for your party. 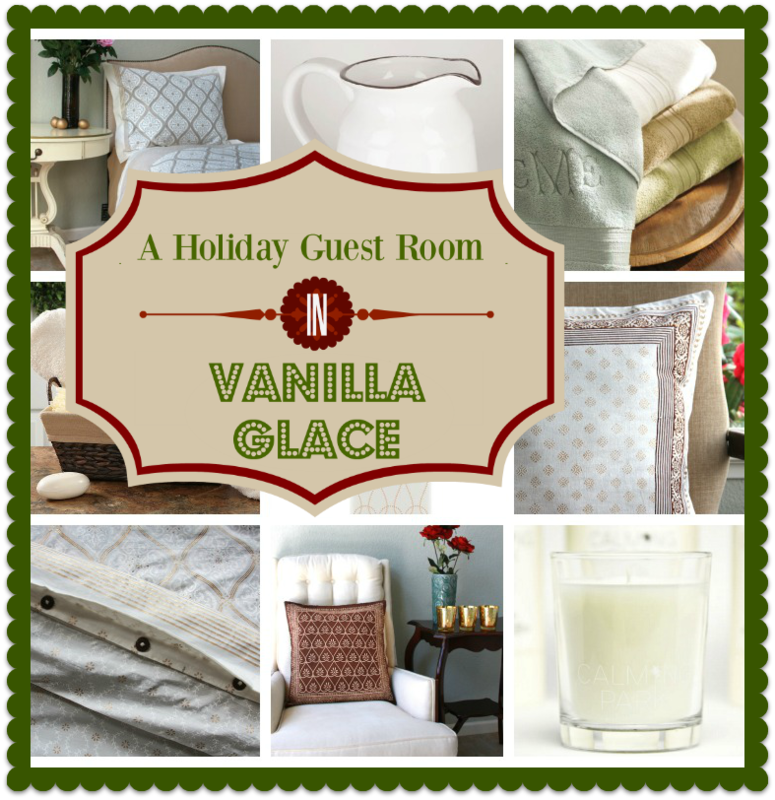 Use Vanilla Glacé for a boho bash, a Classic formal dinner, or a Moroccan meal! 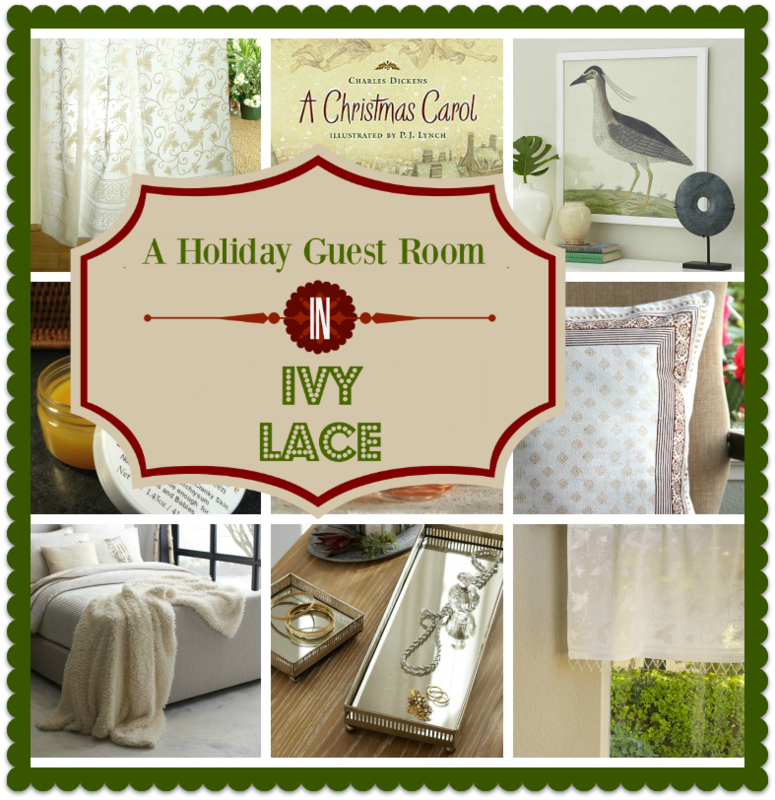 Our Ivy Lace linens offer limitless decorating possibilities. 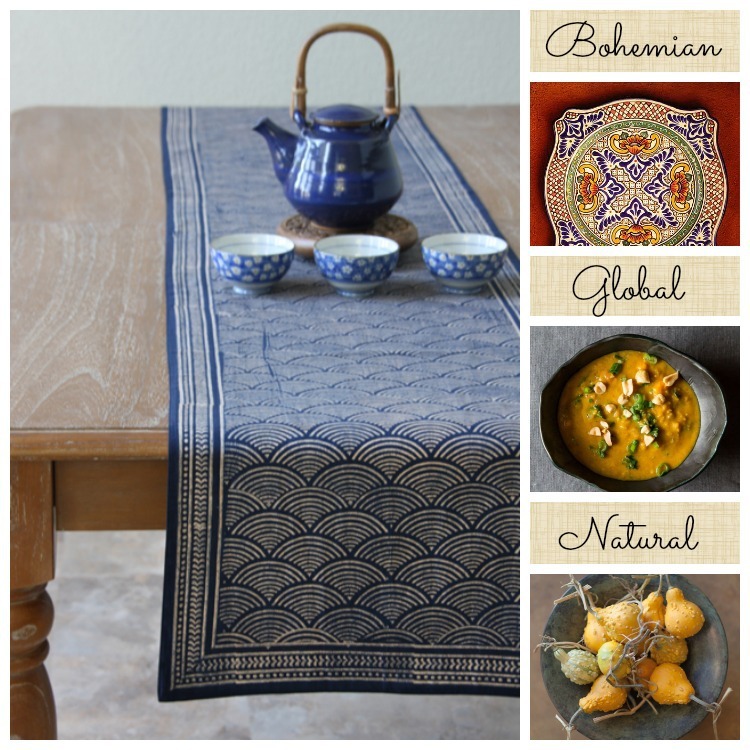 With that in mind, we present three themes: Natural, Handmade or Eastern. 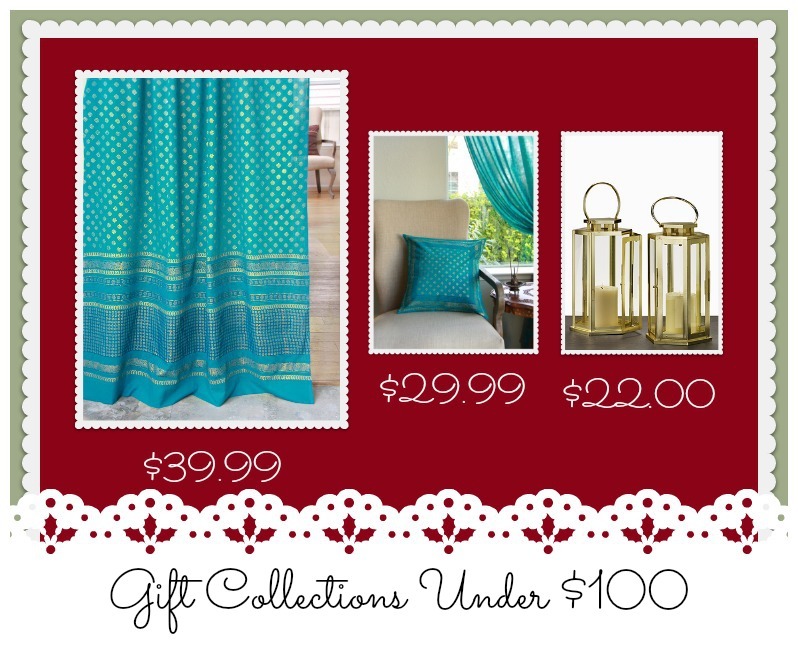 Whether you love earthy reds and oranges, or the sensuous golds and greens of the season, wrapping your decor scheme around the print is easy. 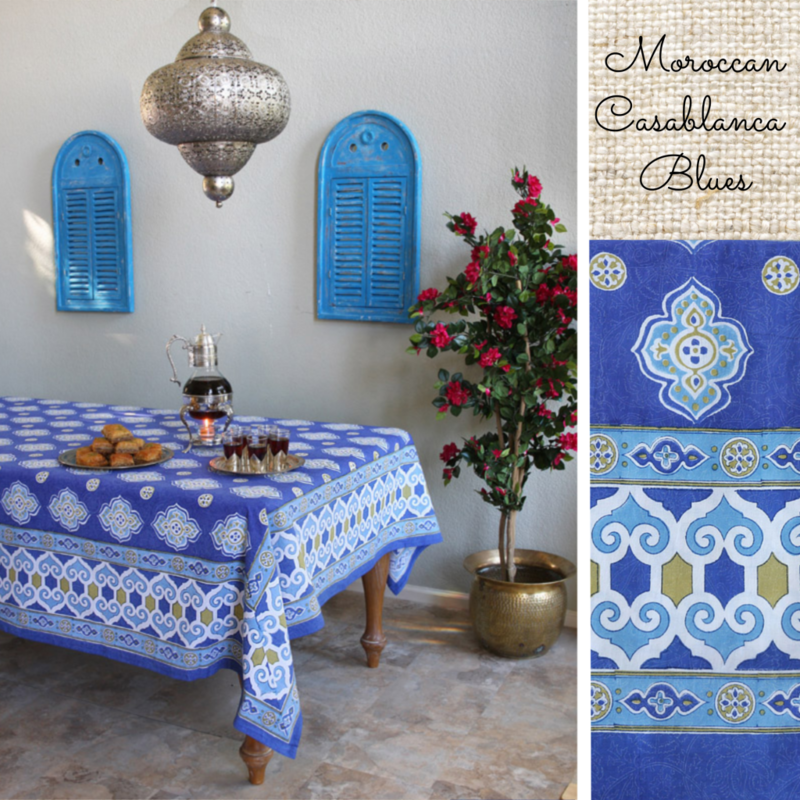 Bold, fun, and far-flung, our Moroccan “Casablanca” and “Casablanca Blues” are the best way to create the global dinner party of your dreams. 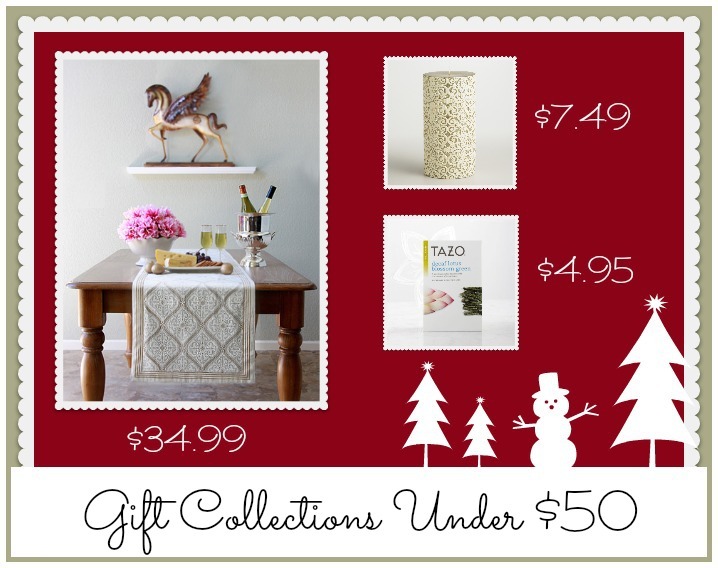 Use them for a celebration that will be traditional in all the right ways, and surprisingly unique as well. 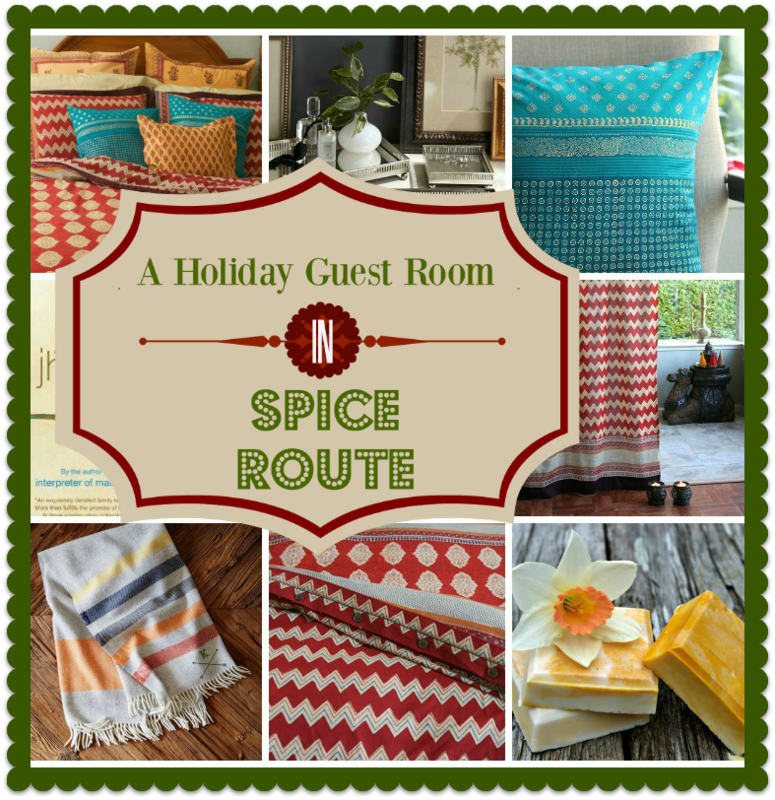 The array of colors in our Spice Route print are just perfect for fall! 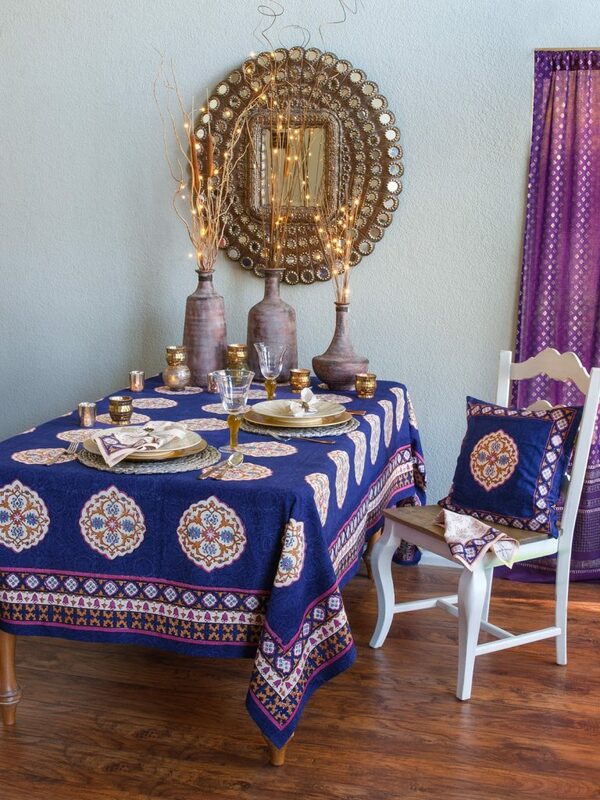 Let your free spirit shine this season with any one of three inspired looks for your holiday table. 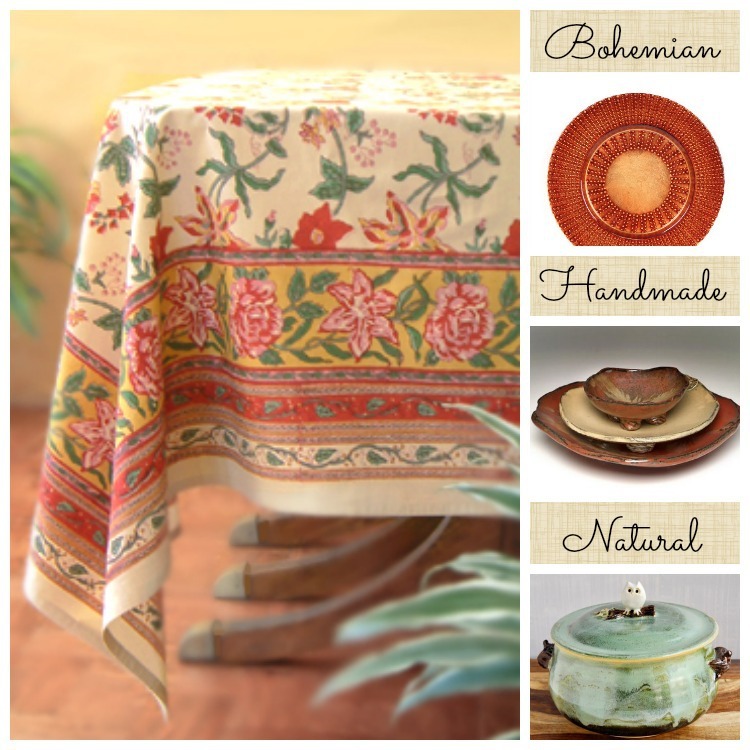 We’ll help design a look that is as warm and unique as those gathered around your table. 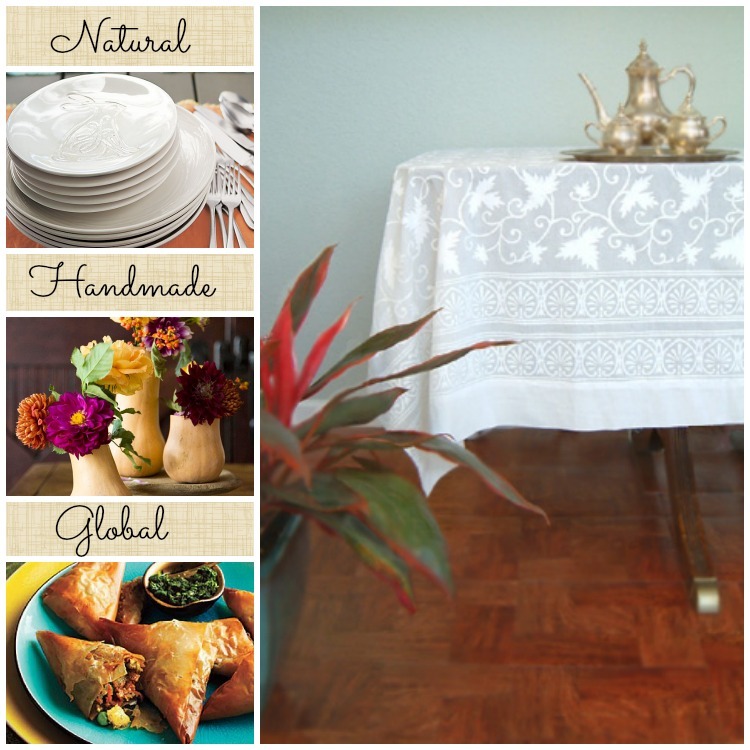 Long before appetizers are served, your table makes the first impression. 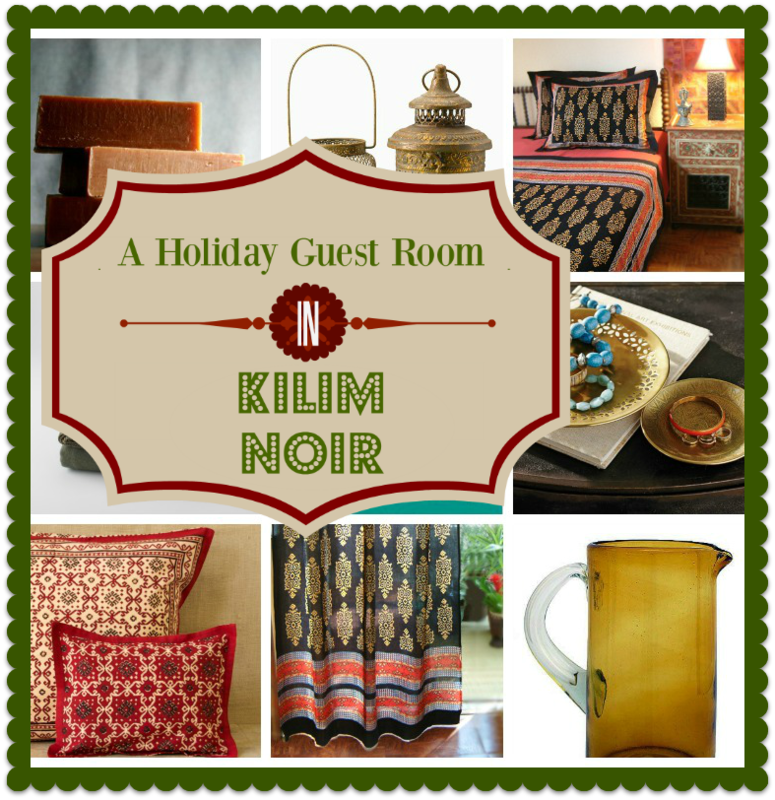 Wow your guests with these stunning Kilim Noir linens! 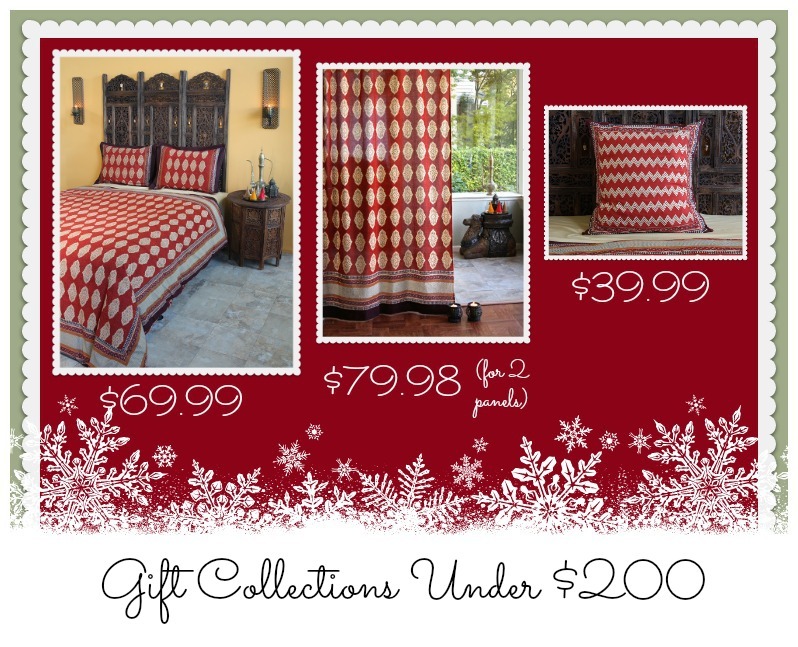 The holidays are festive occasions, so have fun with these kilim inspired linens in an Eastern, Tribal or Handmade theme. 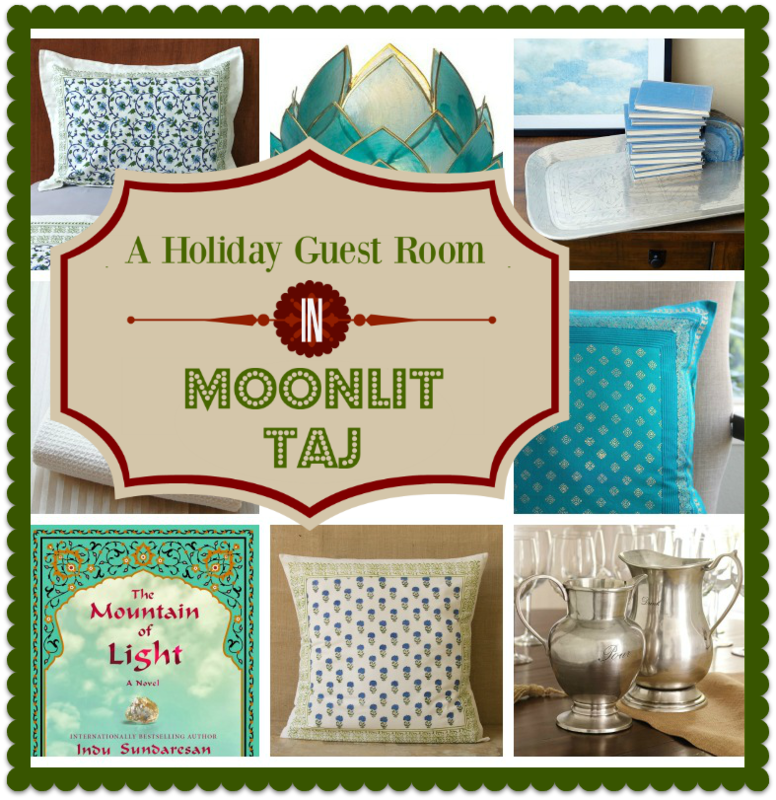 A traditional holiday dinner with an ethnic twist… Sound intriguing? 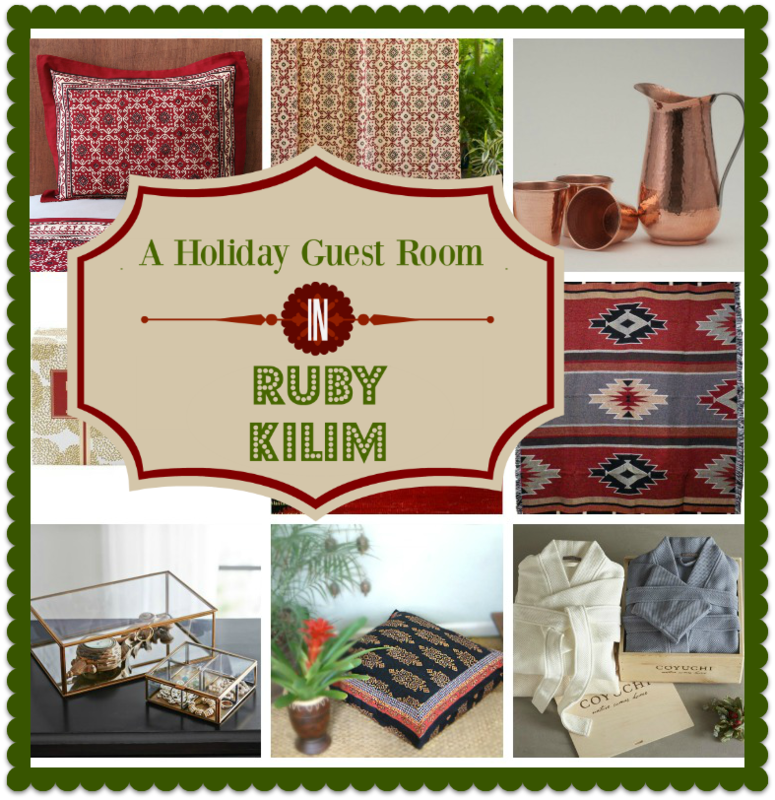 Check out the exotic table we’ve created with Ruby Kilim. Whether you’re a world traveler or just a global daydreamer, we’ve got looks to inspire your journey. 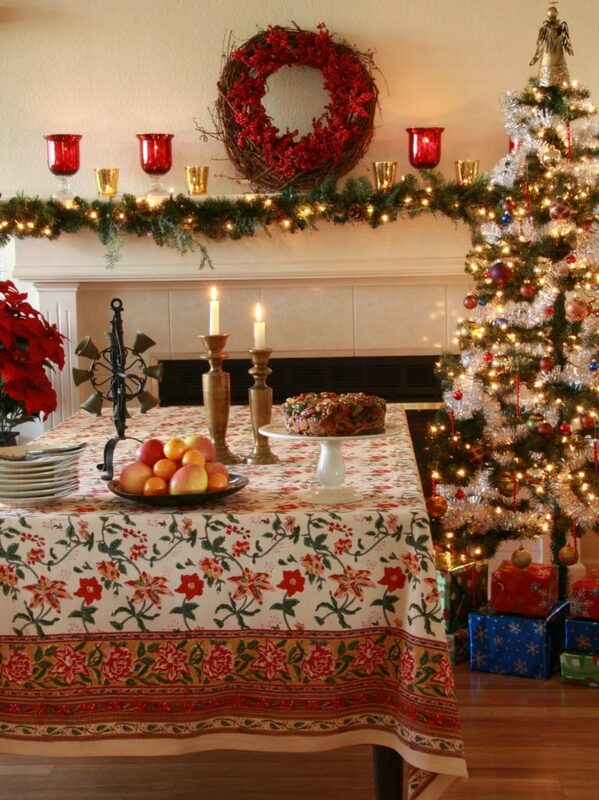 Intertwine the joy and beauty of a classic French meal with the tradition and warmth of the season. 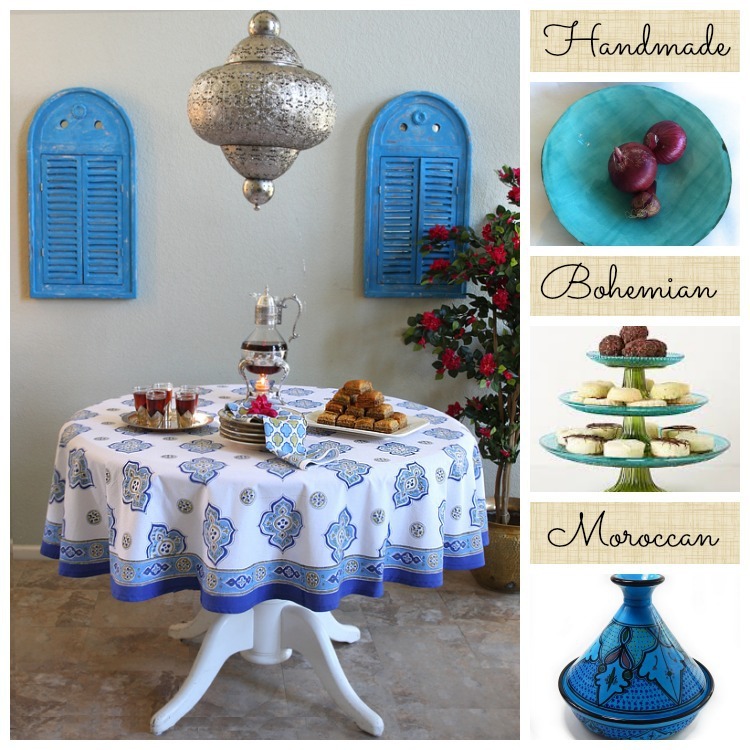 This year, serve holiday dinners atop our French Moroccan table linens and infuse your celebrations with color and life. 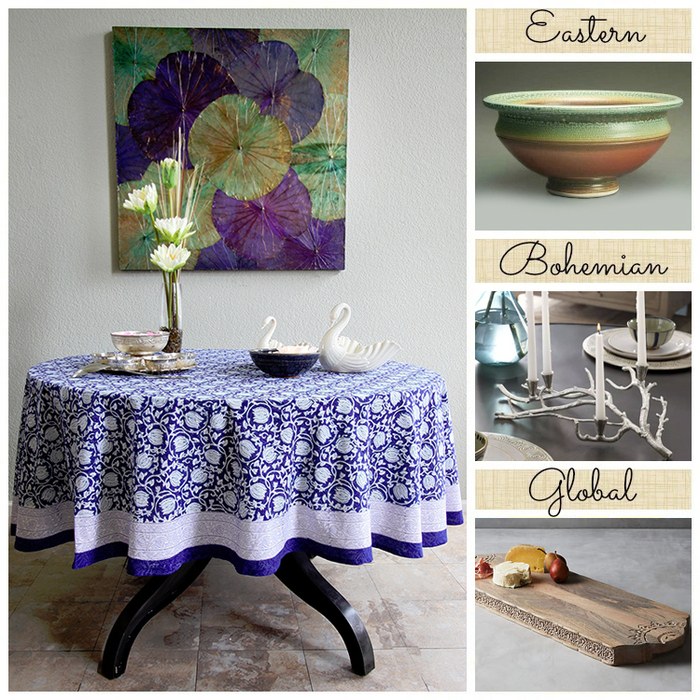 Choose from Bohemian, Classic or Global styling, and find the look that’s right for you! 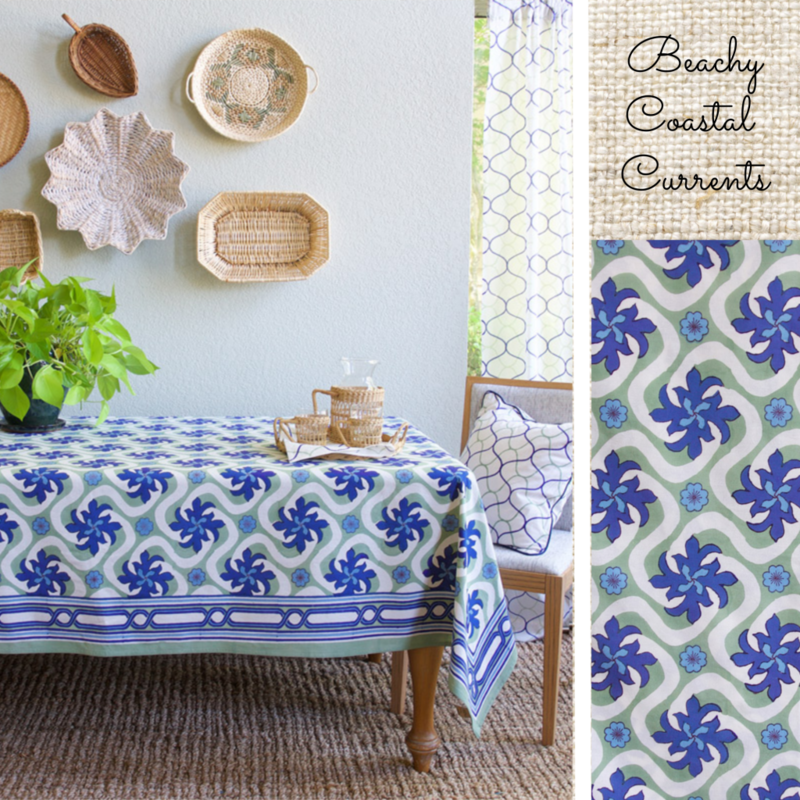 Can a print that has “summer” in its name be used in the cooler seasons? If the print has lovely nature-inspired hues, then the answer is a definite “yes.” Lush with color and exotic paisley patterning, Indian Summer will see you from beginning to end of the holiday season with its warm style. 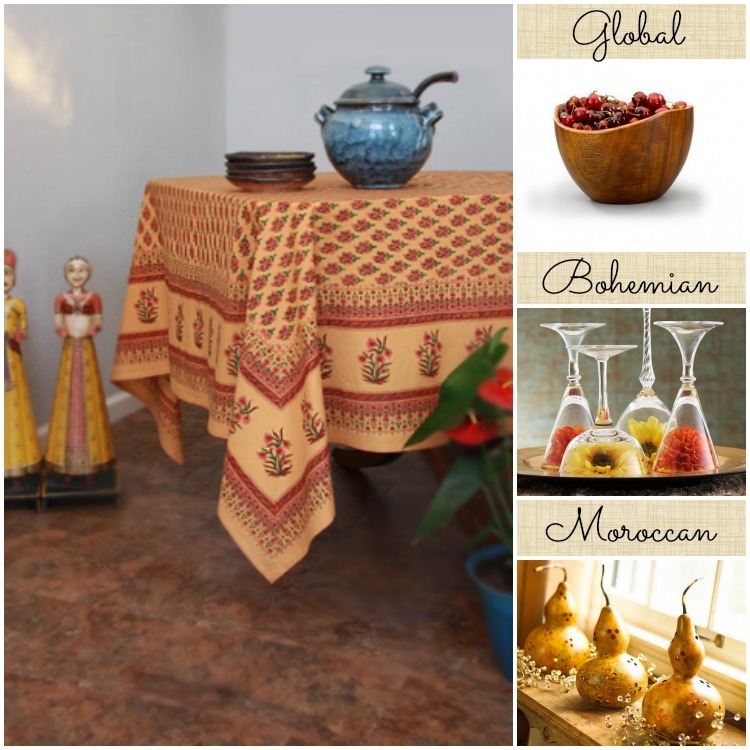 Moroccan, Global or Bohemian–pick your favorite! 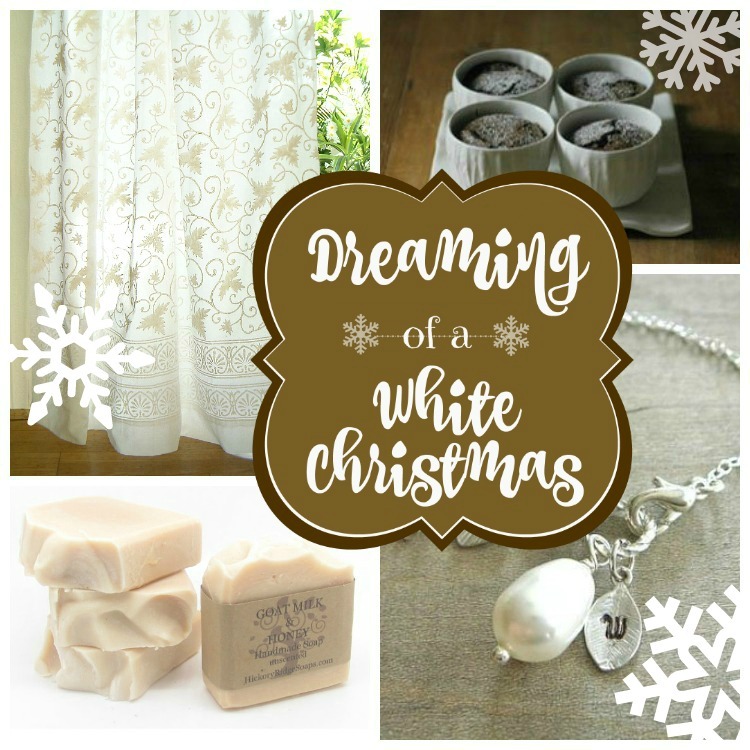 Waltz of the Vines is lovely for fall holidays with its mellow, soft hues filling your gathering with warmth and happiness. It’s like bringing this wonderful season indoors. 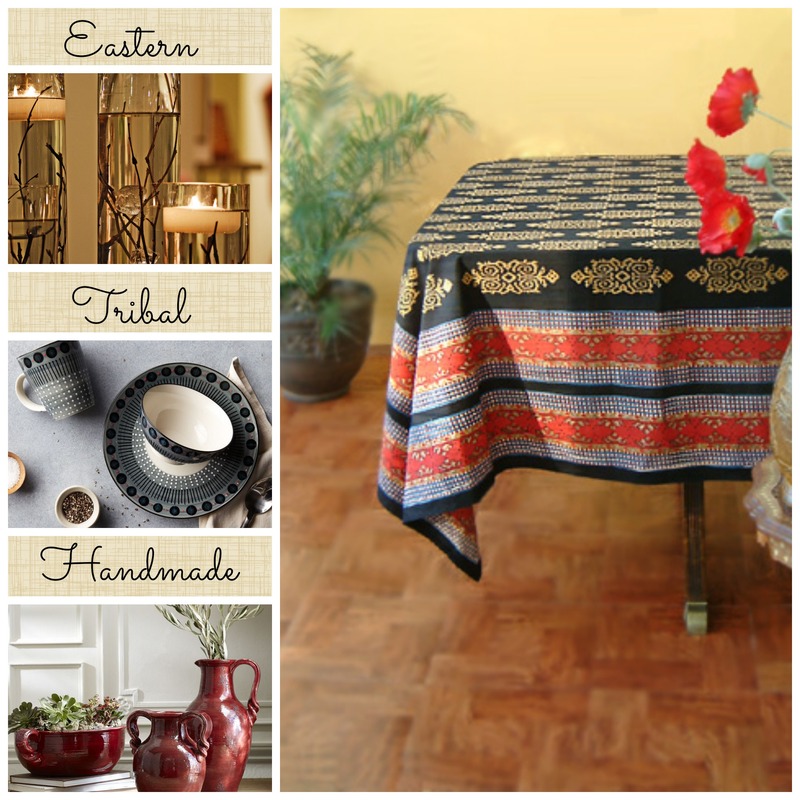 Keep it Classic, tap into an Organic vibe, or go free-spirited and Bohemian. You’d be hard-pressed to look out your window this season and not see trees with leaves decked in hues of brown, gold and green. 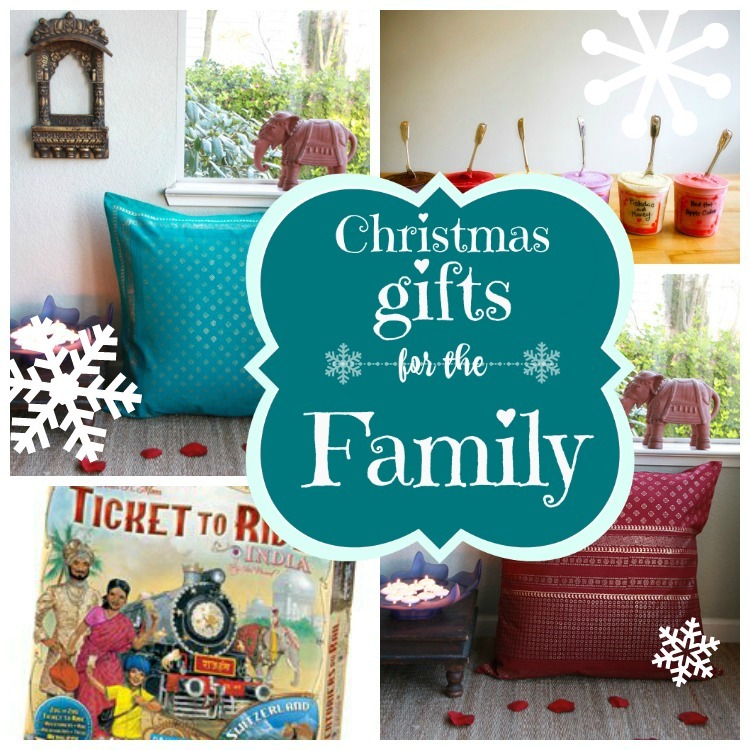 Memories of Shalimar is so right for this time of year! 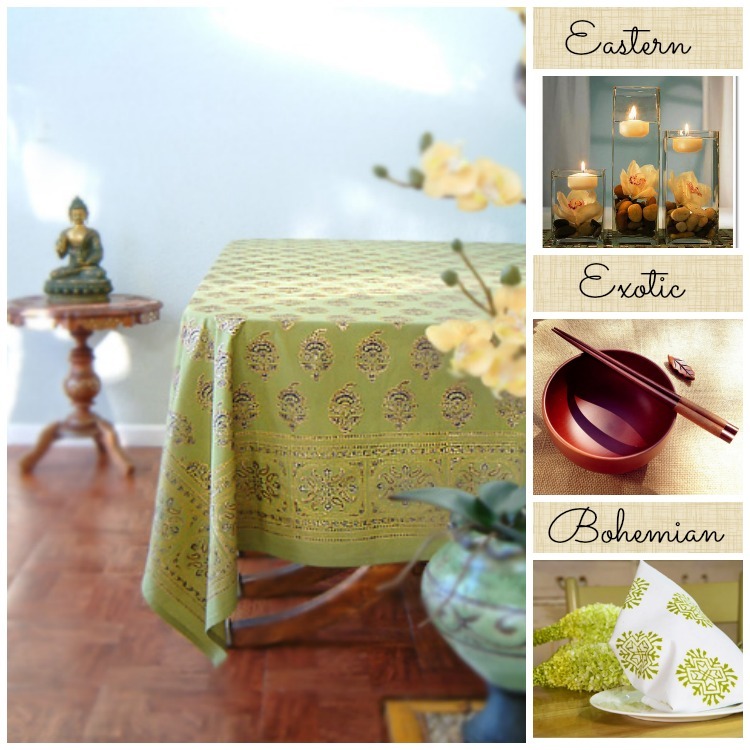 Whichever way you decide to use it – Eastern, Exotic or Bohemian – the decorating possibilities are endless! 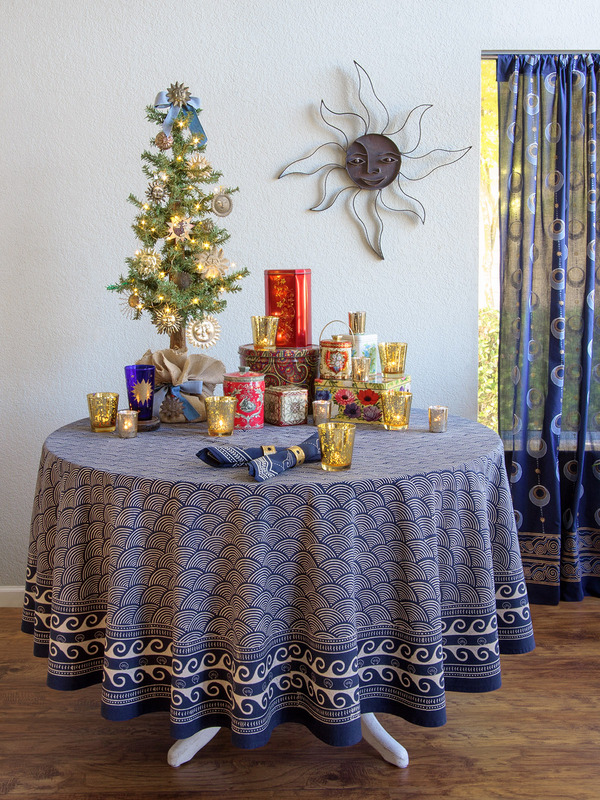 Unfurl the crisp fall sky across your table this year with our Starry Nights table linens. 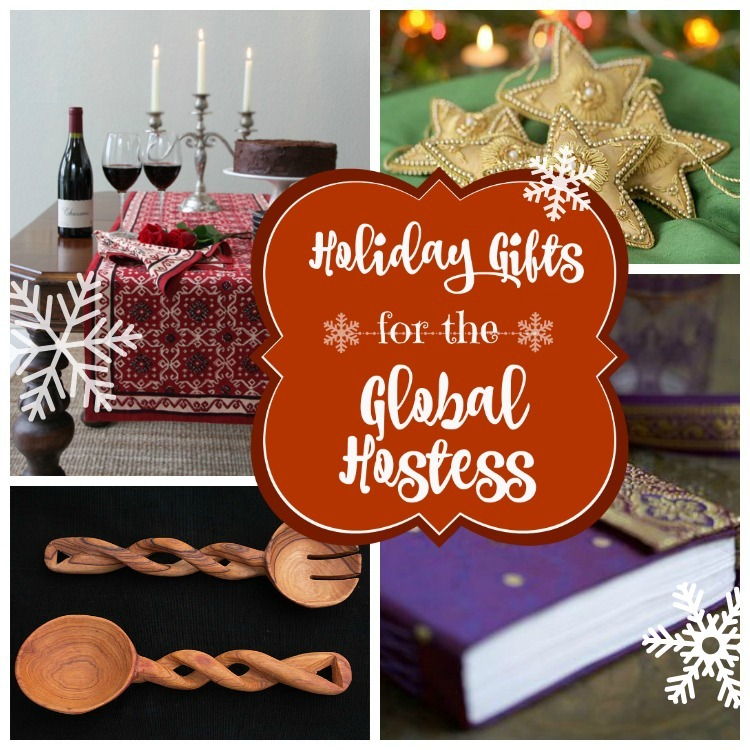 You’re sure to find a look that pleases and inspires among our ideas for a Handmade holiday, a Bohemian feast or a Natural celebration. Enjoy looking around! To lay eyes on this print, or to touch it with your hands, is to fall in love. 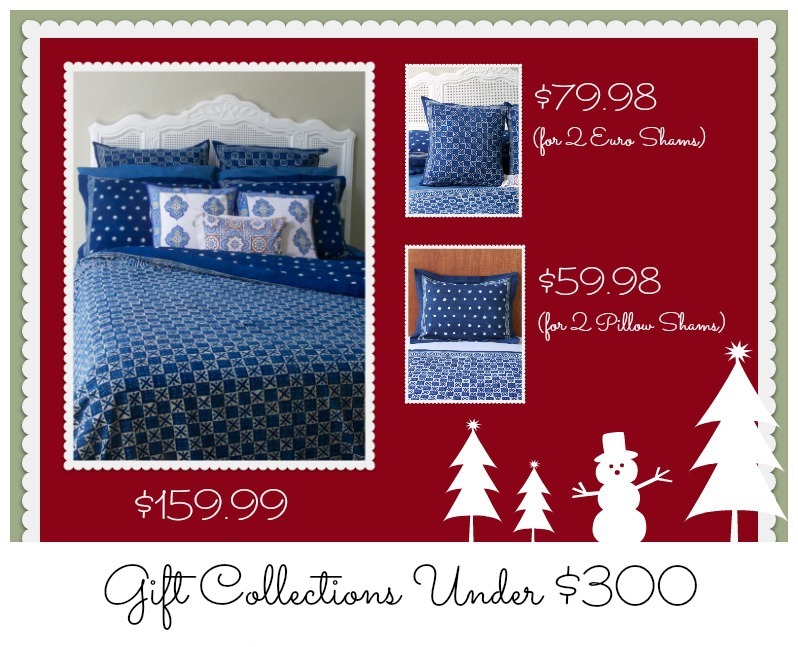 This fabulously unique print is lovely for winter holidays because of its warm, rustic look, and because the rich indigo color is a perfect foil for the russets, ochers, and reds of harvest season. 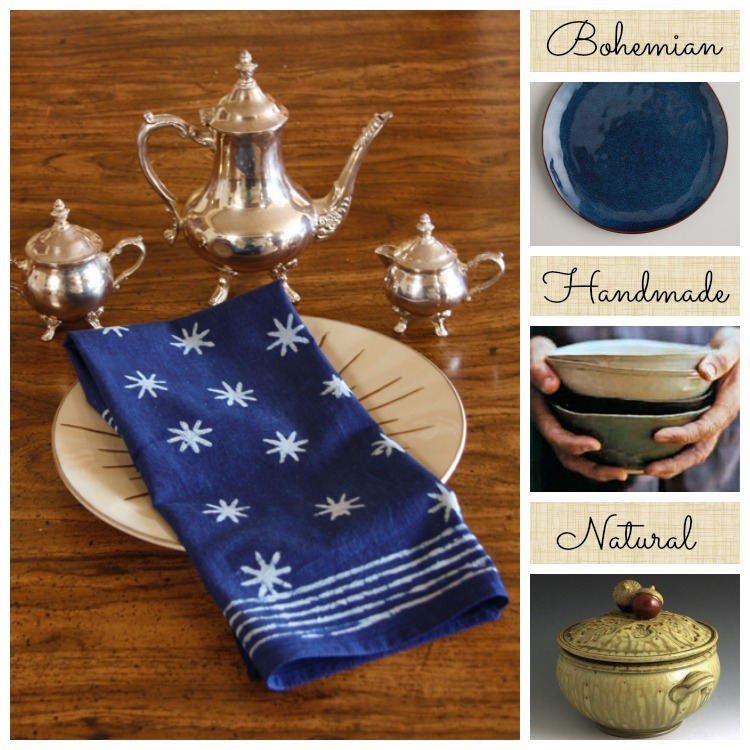 You’ll love the ways we’ve styled Pacific Blue: Bohemian, Global, and Natural–all are beautiful. 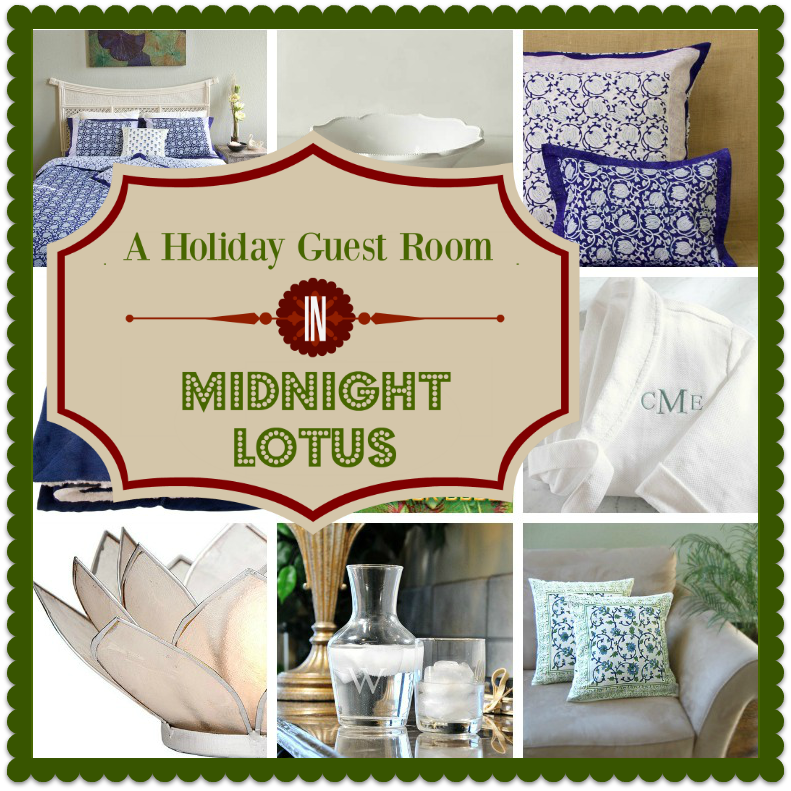 Bring a sense of calm and peace to the holiday season with our Midnight Lotus table linens. 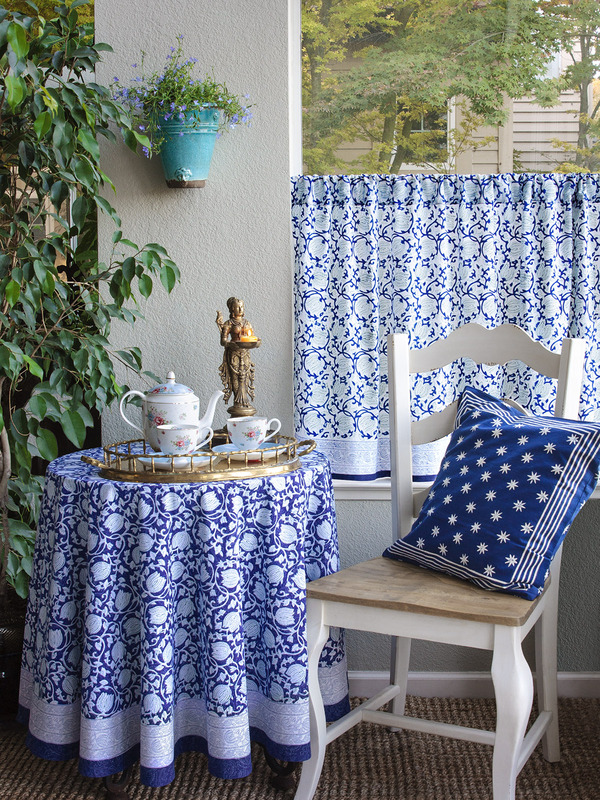 Pristine white blossoms on deep Persian blue resonate with style and cheer. Accessorize with Asian elements for a truly Eastern look, go Bohemian by celebrating the floral pattern or mix and match with exotic pieces for a Global look. 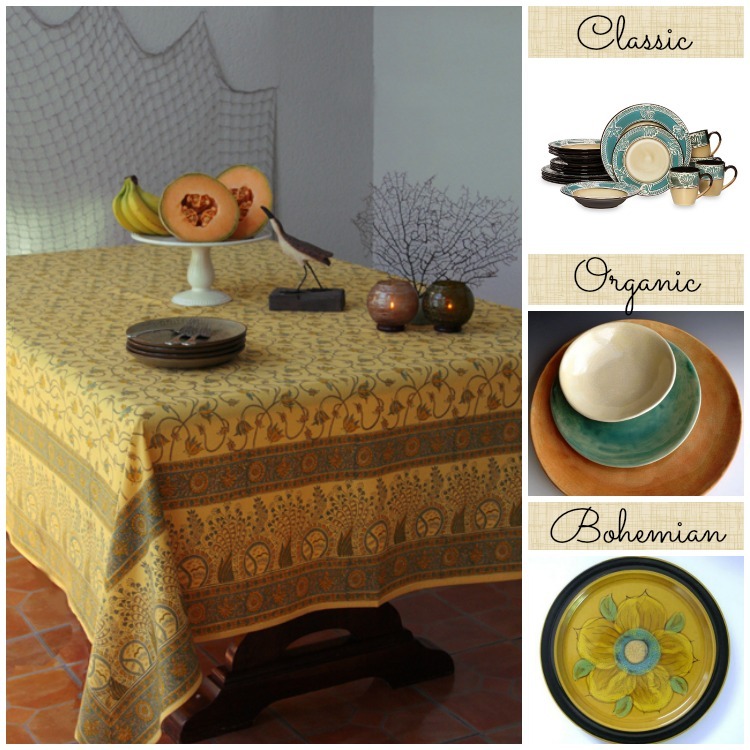 Warm up to our vibrant Tropical Garden hand printed tablecloth this fall. All the bounty of the season is gathered in every rich hue of this garden, and it is sure to inspire your unique decorating style. 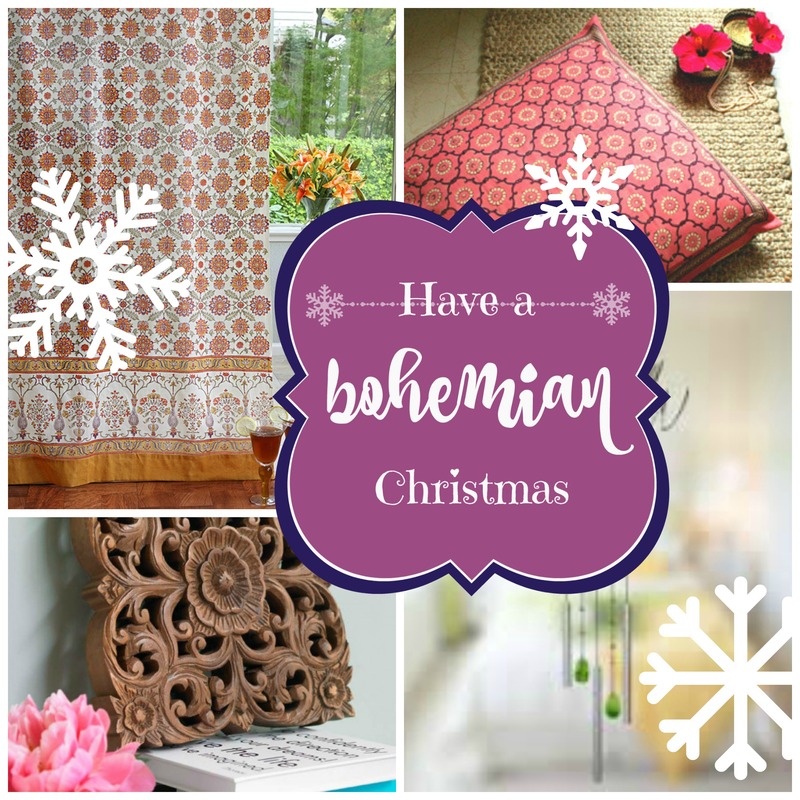 Whether your style is Bohemian, Handmade or Natural (or a bit of all three), you’ll find something to please in this post! 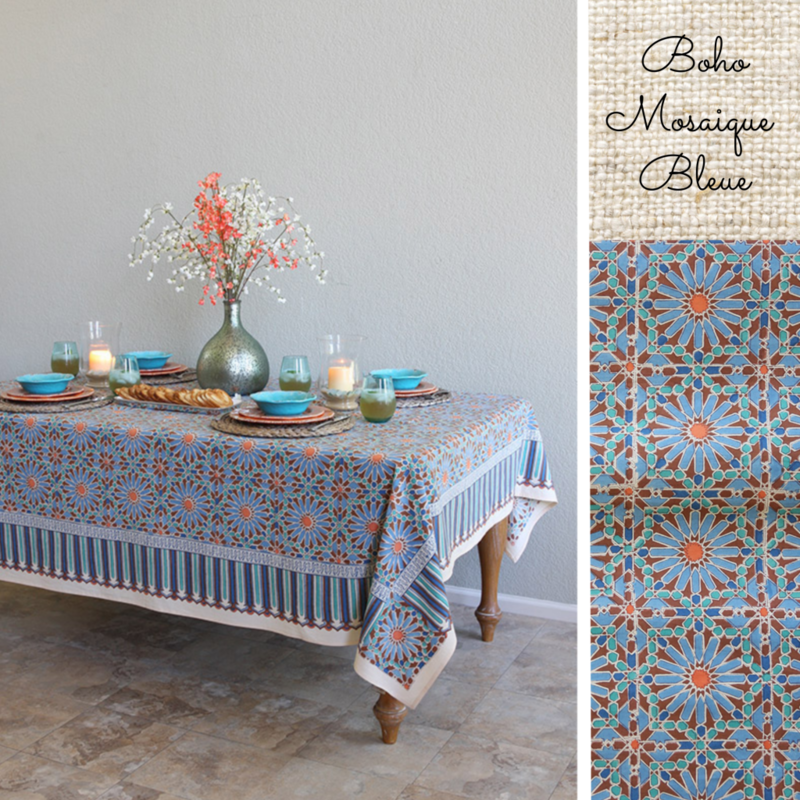 We’re combining two of our favorite white Moroccan prints to create the perfect backdrop for any celebration! 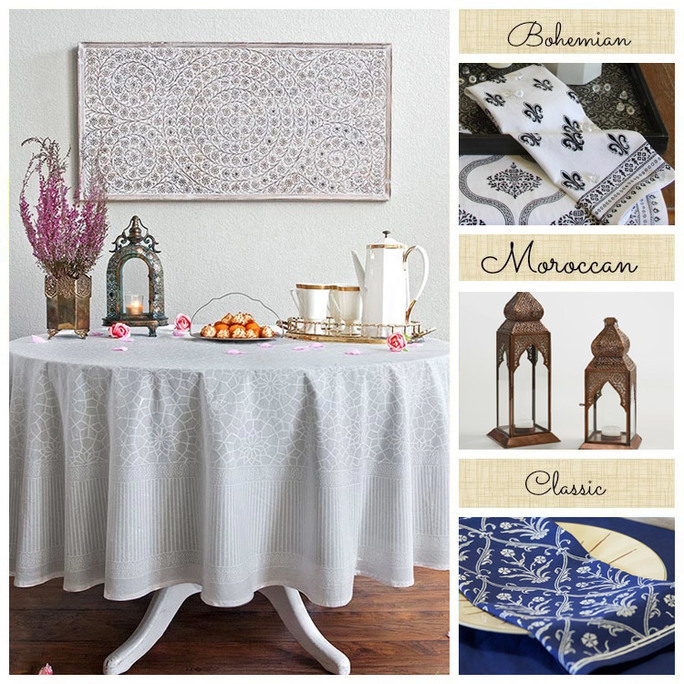 Elegant, unique and ethereal, Royal Mansour and Vanilla Glacé take bohemian, Moroccan or traditional styles to the next level. Holidays are all about tradition – Grandma’s pie, Auntie’s sweet-potatoes, the good china – and we love those holiday classics! 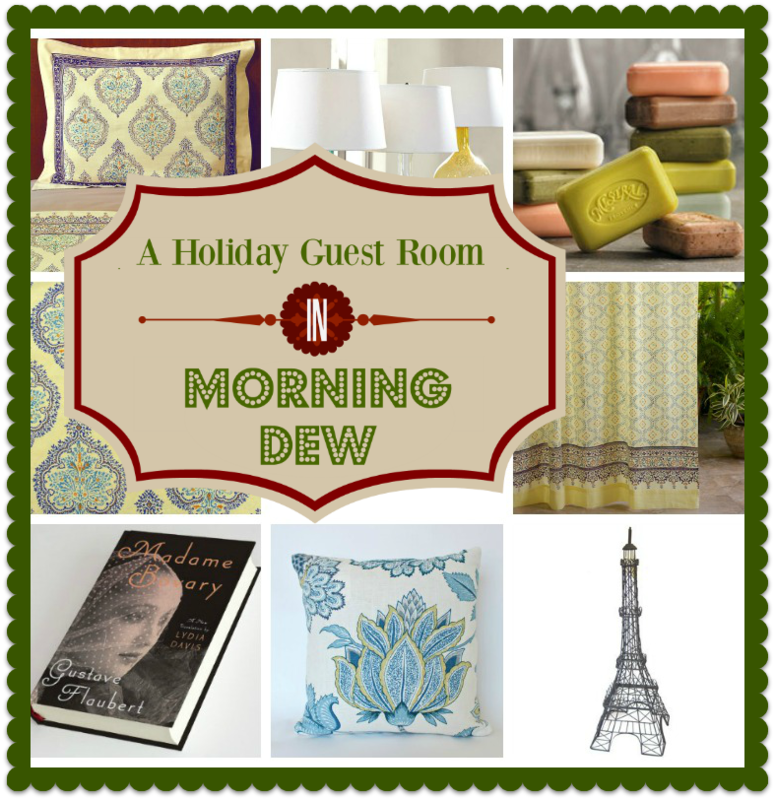 We also love bursts of color, eclectic style, and unique, personal decor! 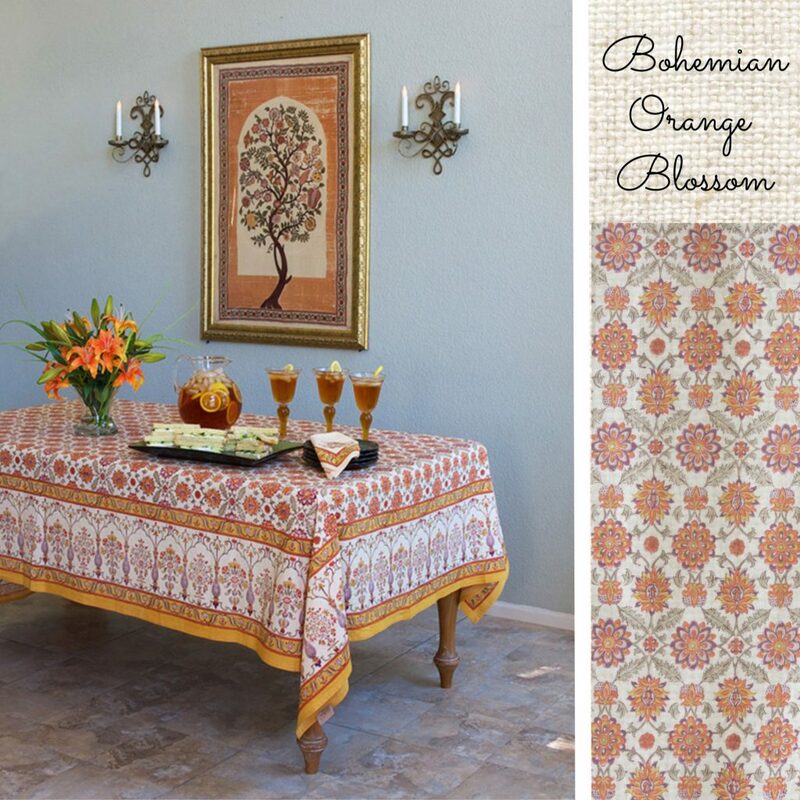 Enter Orange Blossom, our burst of bright florals in a Mediterranean pattern. If you haven’t spent a holiday at the beach, then I’m sure you’ve daydreamed about it. 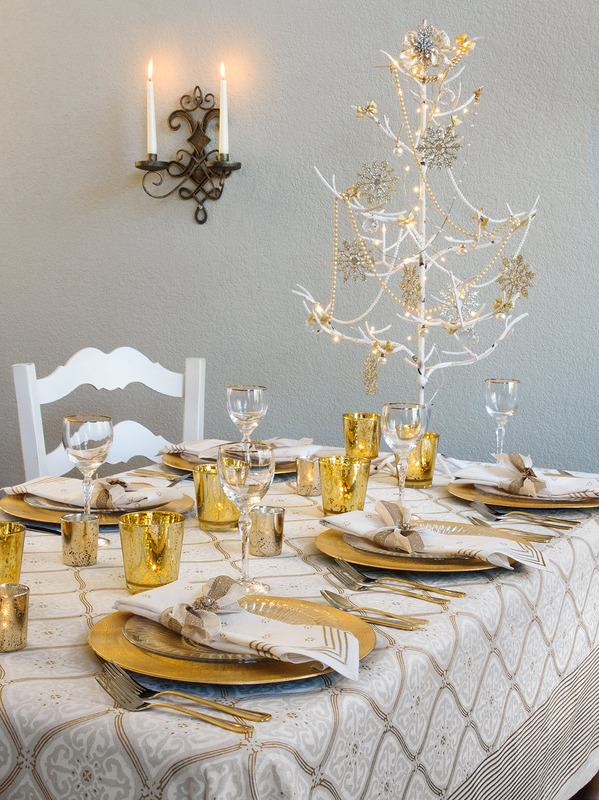 Imagine the family, gathered around a gorgeous, coastal, blue and white holiday table, enjoying all the traditional fare, with a sunny twist! 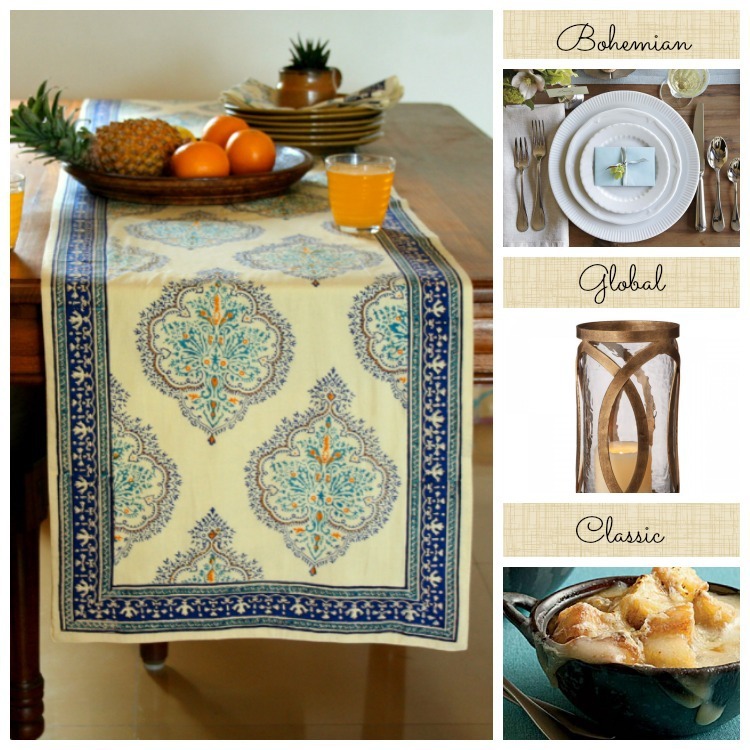 Here at Saffron Marigold we like to do things a little differently – with unique, colorful, global style. And we know you like to add a unique vibe and personality. 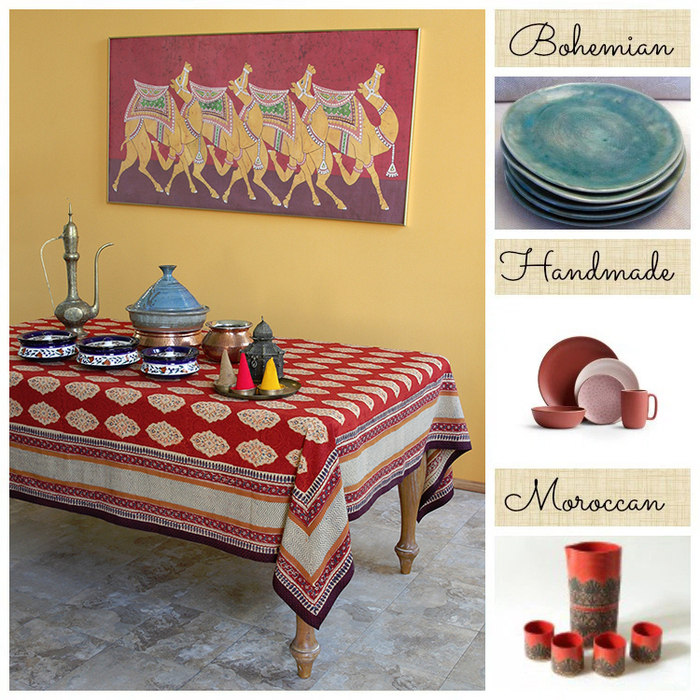 Enter the idea of a festive, Moroccan style holiday! Doesn’t that sound fun, adventurous, bold (and tasty)? 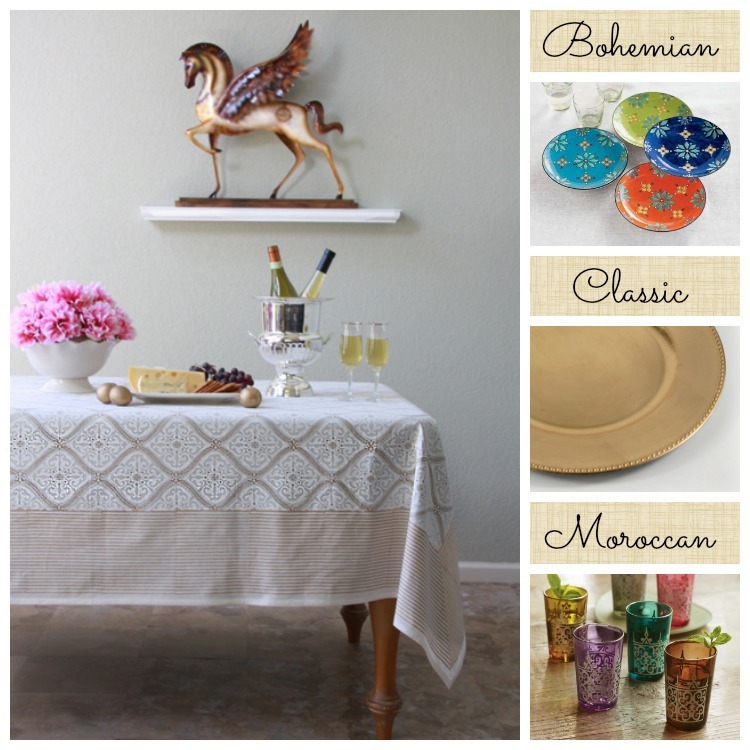 Holiday entertaining and bohemian style were meant to go together. 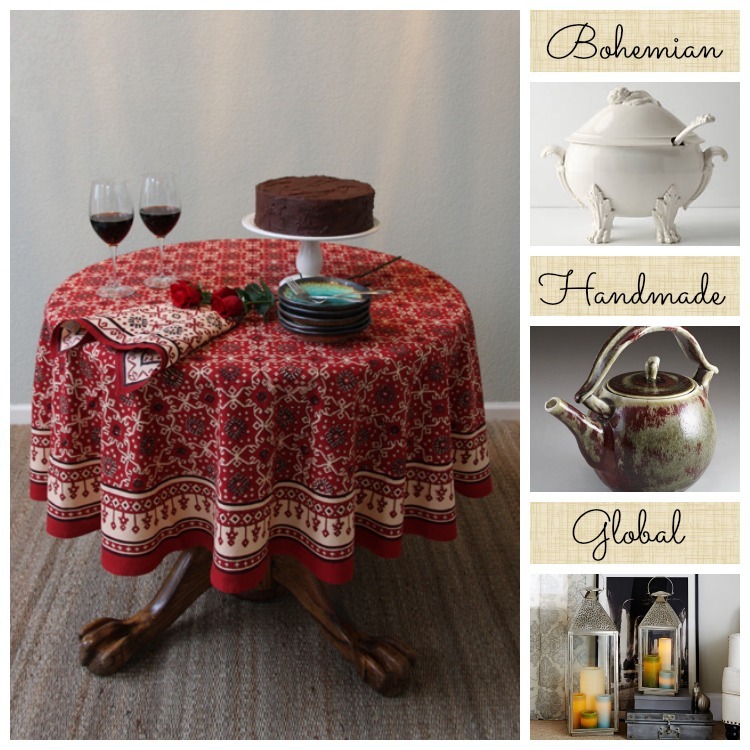 Vintage and new, layers of colors, twinkling candles, global accents – all these come together to create a colorful, classic boho holiday table that reflects your family’s unique style! I just ordered, and then I saw this thing about getting a free gift. Um, does that mean I qualify for a free shower curtain? Just wondering… we could really use one too. I like the black and white one I bought from you this year but the black is a little drab… color color color! Thank you for your consideration and hope I’m not too late.